Or at least get them warmed up. Ah, spring. What a beautiful time of year. It's got flowers! It's got rain! And also, a third thing! Most importantly, though, it brings just a little more warmth, which means we can open our windows and let the fresh air flow into our living quarters as we hole up and play video games all weekend. 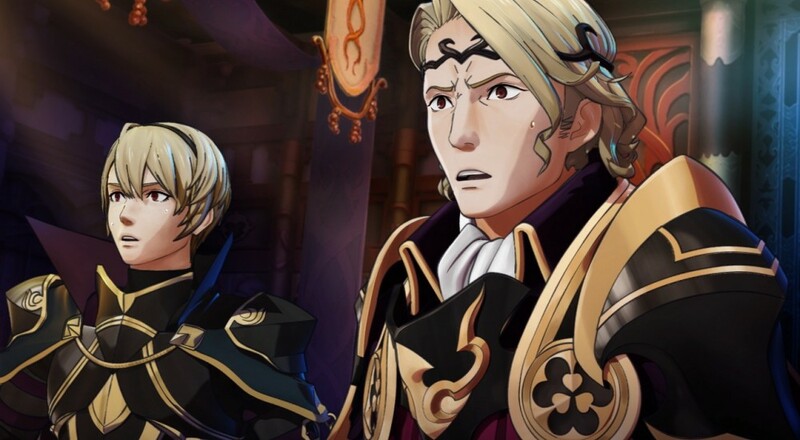 Many of us are in the closing stages of our respective Fire Emblem Fates campaigns, so soon enough, we'll be able to move on to the other two campaigns. On my estimation, that puts us returning to regular video game coverage at... let's say 2018? Those who aren't shutting off their 3DS's in rage seem to be putting a lot of time into The Division and Shadowrun Chronicles - Boston Lockdown, the latter of which is currently available in the Humble Jumbo Bundle 6. If you're interested in grabbing a few buddies and running some shadows yourselves, be sure to check out Eric's stream tonight for a taste of the action. Nick Puleo (@NickPuleo) - "I've got a buddy coming up so it'll be lots of couch co-op action. No idea what." Jason Love (@JLove55) - "More time with The Division and Plants vs Zombies: Garden Warfare 2." Mike Katsufrakis (@Pheriannath) - "Continuing Lenny Kravitz's adventures in The Division, along with a healthy helping of FF14." Marc Allie (@DjinniMan) - "More Fire Emblem and Starcraft for me!" Eric Murphy (@smurph_em) - "We'll be streaming Shadowrun Chronicles - Boston Lockdown tonight at 8PM CST on our Twitch channel. Stop by and chat with us! Otherwise, I'll be playing The Division as soon as I pick it up from Best Buy." John Bardinelli (@itsamejohn) - "I'll be driving through the entire weekend, but when I stop, I'm grabbing the Bravely Second demo!" Sam Tyler (@thereelsamtyler) - "Saints Row 4 is completed so how can I freshen my palette? Gat out of Hell!" Locke Vincent (@LockeVincent) - "Playing dress up in The Division. Try to procure only the finest of slouchy torques." Tally Callahan - "Continuing with Fire Emblem Fates: Conquest. Just a few chapters away from the end now!" Cecilia Good - "I have been sucked in by the Zero Escape series, so I am finishing up 9 Hours 9 Persons 9 Doors before Zero Time Dilemma releases. Already made it through Virtue's Last Reward." Enoch Starnes (@enochstarnes) - "I'll be pushing towards the final acts of Fire Emblem Fates and maybe fulfilling my gardening fantasies in Stardew Valley." How about you? Will you be spending some time in alt-universe Manhattan, or do you prefer your weekend activities with a little less "Clance"? Let us know in the comments! Page created in 0.6002 seconds.